Portland, Maine's Peak Organic Brewing makes some tasty beers. 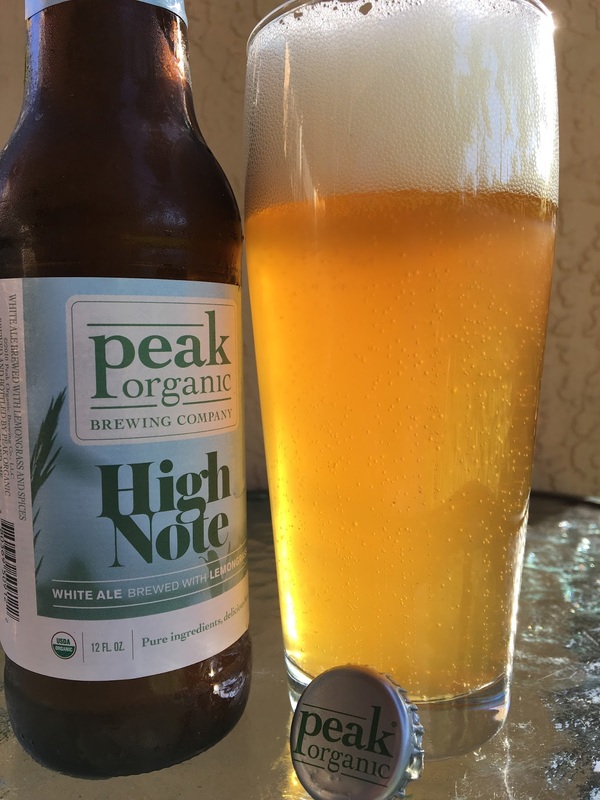 I just grabbed their High Note, a white ale brewed with lemongrass. 4.9% alcohol. 14 IBU. Mega-pop of the cap with a little beer following. Big wheaty, tangy, spicy, lemony aroma. Super pleasant! Nice flavors too. Tangy to start and quite spicy. Tons of lemon, coriander as well, and plenty of citrus zest. Carbonation is big, sharp and prickly, adding a lot to the refreshment while also enhancing the spiciness. Has a little saison quality to it even. Dry at the finish. Very nice beer!